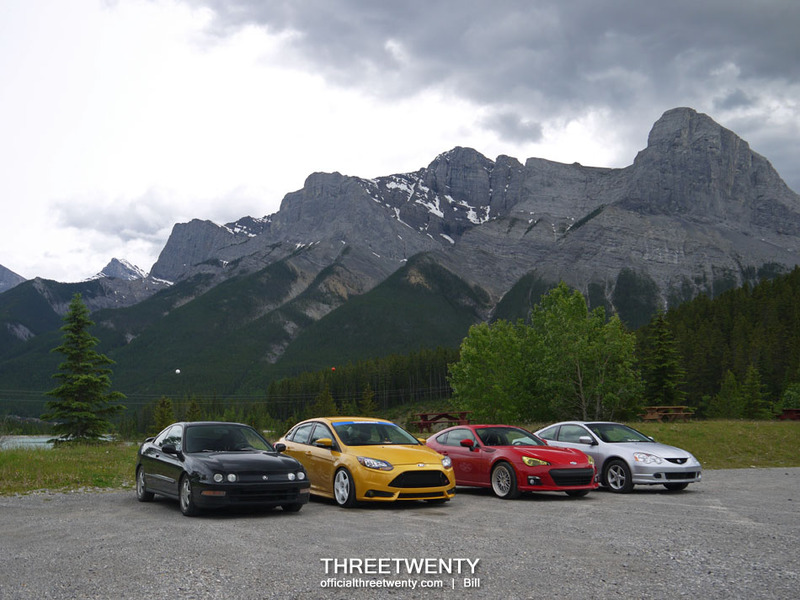 Recently a few of us went out to Canmore for some photos as there is plenty of great scenery around the area. It was a slow-paced afternoon but we got some nice photos out of it and had an excuse to go for a cruise. 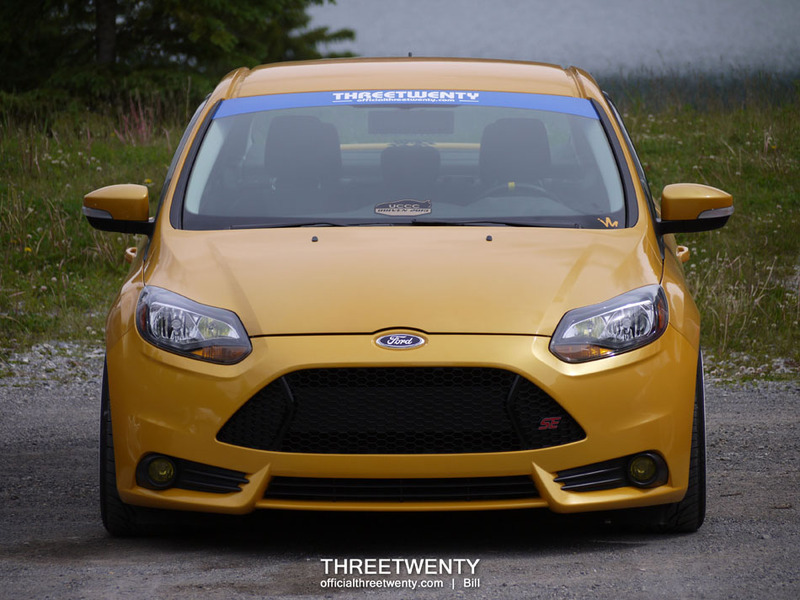 In the photos you’ll see my Focus and Kanji’s BRZ, as well as a couple of new cars – but they’re owned by familiar faces. We started here. This is a favourite spot of mine since the buildings aren’t visible down in the valley; just mountains and trees. As for the new cars, they’re Kyle’s and Dave’s. Kyle needed a new beater, so he picked up an Integra. I didn’t know he had actually bought it until we met up, so I was quite surprised to see him arrive in it. Surprise was then followed by a tiny bit of jealousy since I’m still waiting for the day I can get started on a DC2 project. Dave meanwhile was presented with the opportunity to get himself an RSX so he took it. It’s a car he’s wanted for a while and he found a nice one. It’s a Type S too, and silver just like his old Integra. 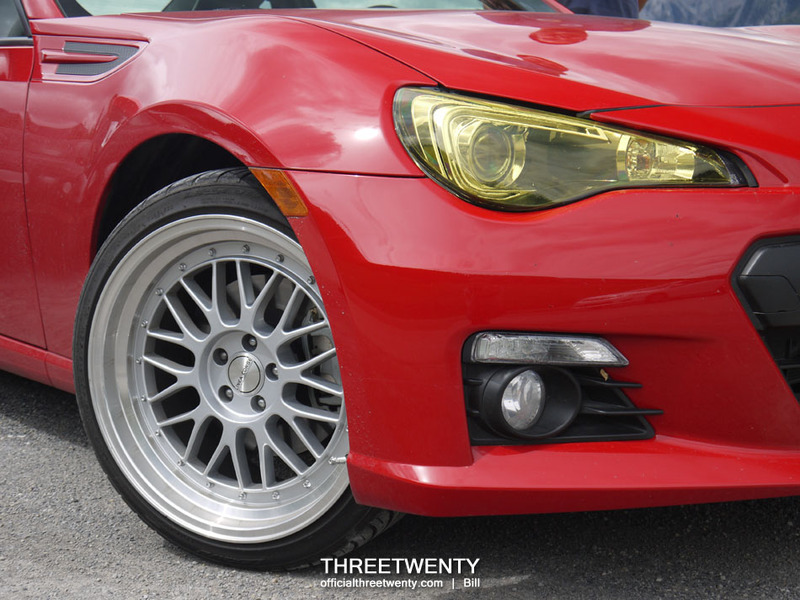 During one of our garage days the BRZ received new wheels and we wrapped the headlights yellow. While the Toyobaru was still at stock height here, it has now been lowered on coilovers so the next time you see it that wheel gap will be gone. 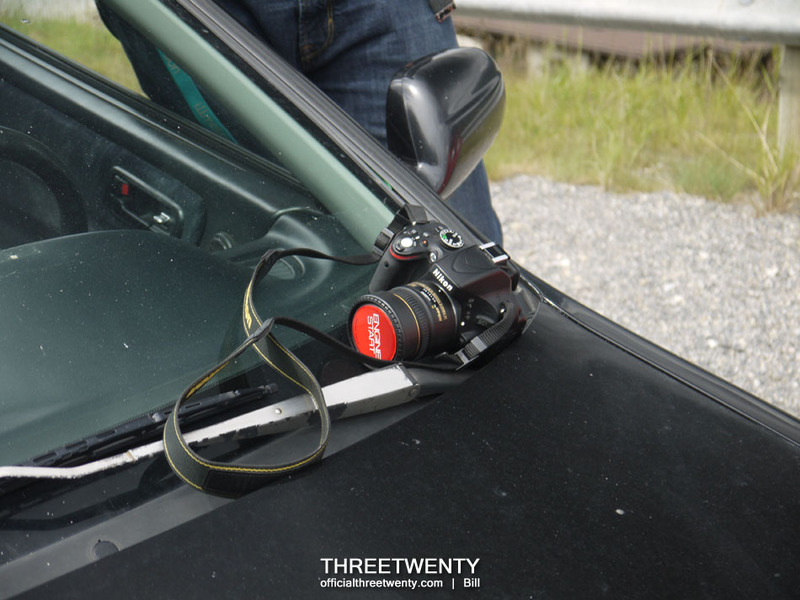 Kyle hadn’t done anything to the Integra since he had just bought it, but he did have this cool sticker on his lens cap. So I took a photo of it. Traffic and other cars pulling off (and getting in our photos) proved tiring so we moved to the Nordic Center for a quick shot with the flags in the background. 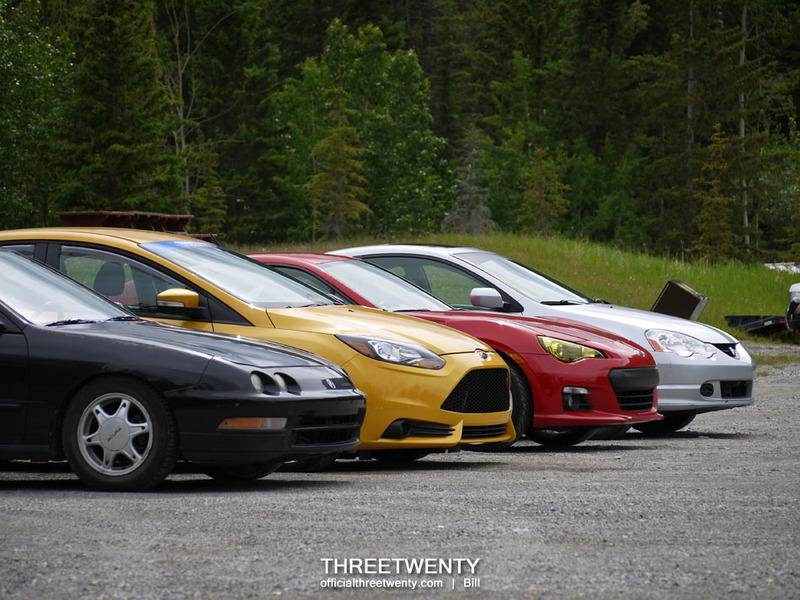 We then moved again to a gravel lot where we lined up the cars and had no one else around us. 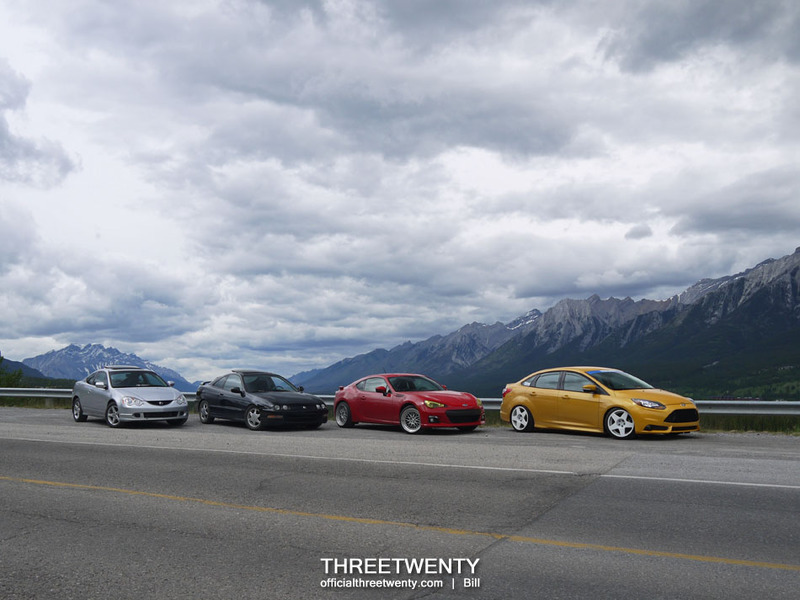 At one point during the day it was pointed out to me that of the four people here, three have owned DC2/4 Integras with me being the odd one out. 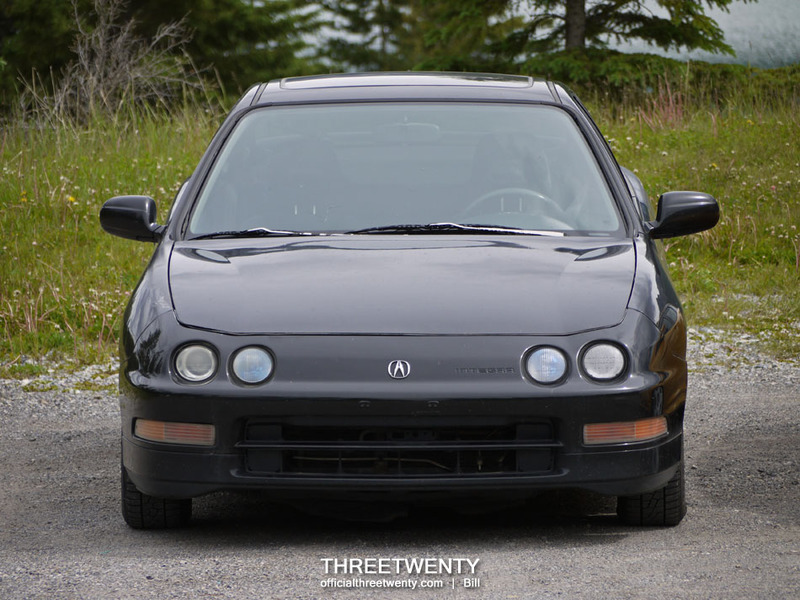 The others know how I’ve been itching for an Integra for years so they like to remind me that I still haven’t owned one. Thanks guys! Haha. Those who look closely will notice that the black plastic roof rails are missing from the Focus here. During this time they were sitting at the body shop (with a few other parts) getting prepped and painted. They have since been re-installed and the other parts were fitted so you’ll be seeing that update here soon. 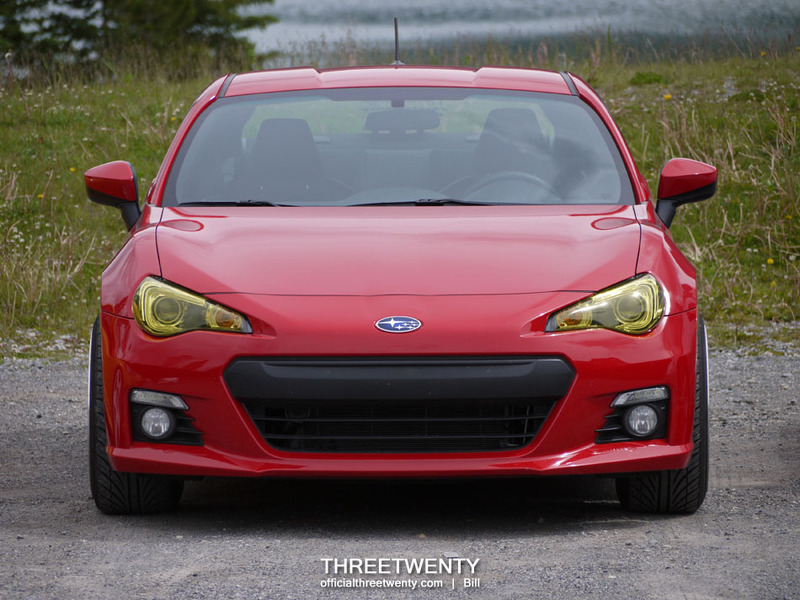 I haven’t seen the BRZ in person with its coilovers installed, but based on the photo I’ve seen it looks like the fitment worked out well. 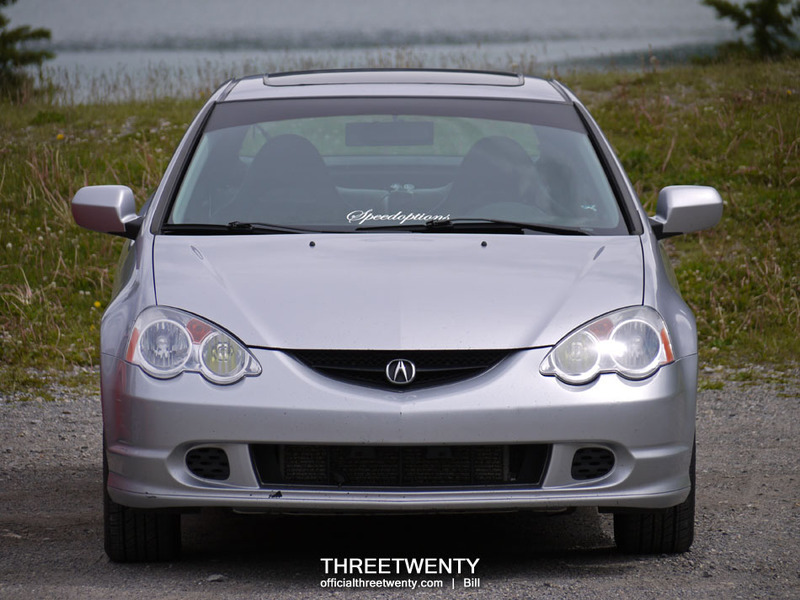 Dave had put a lot of work into the old Integra but the RSX is a great base. A few small things have been done for now and it’ll keep progressing as time goes on. After the photos we wandered the town for a little bit, had some dinner, and then everyone went home. It was a nice day out and a good use of a free afternoon. We’ll have to head back again! Before I finish this post though, here are a couple of extra shots of the Focus because people have been asking for them.